Beautiful summer meadow around the house. 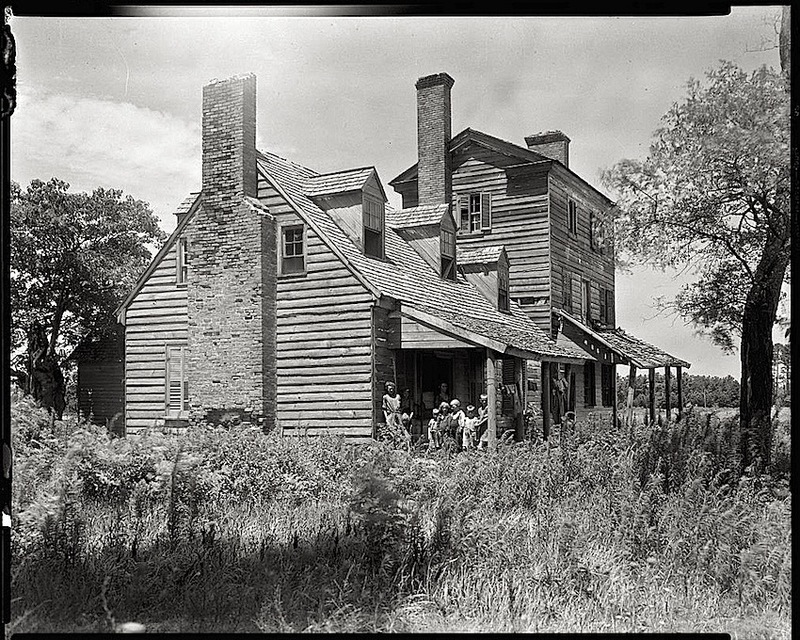 . .
Johnston’s notes on the photograph call the building a “sailors’ tavern.” It was probably one half to two miles from the creeks and marshes of Hog Island Bay on the Atlantic Ocean, maybe closer. Unfortunately, I can’t find anything to indicate that it has survived to the present day. We’ll live among wild peach trees, miles from town, . . . I likely had relatives who ate or drank there. I’ve probably driven close by its site. As a teenager I lived in Northampton County. I was born at the old hospital in Nassawadox.